Fugitive Kind, one of Tennessee Williams’s earliest plays, is one of his richest in dramatic material. 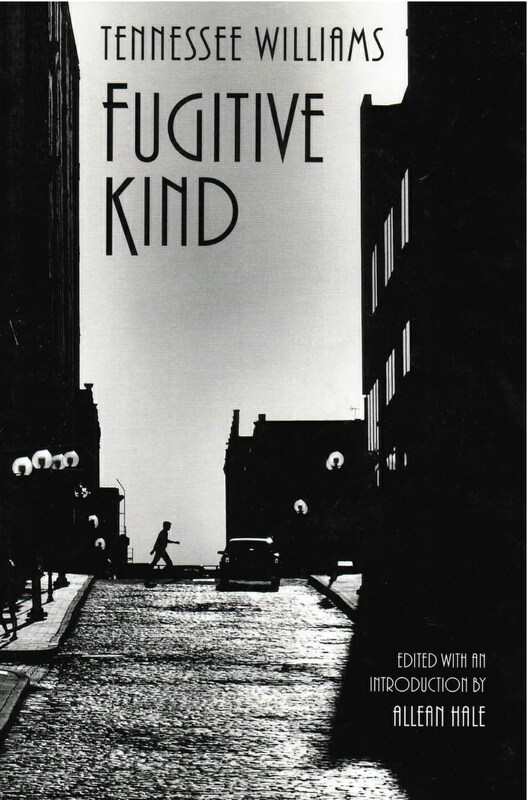 Written in 1937 when the playwright was still Thomas Lanier Williams, Fugitive Kind introduces the character who will inhabit most of his later plays: the marginal man or woman who, through no personal fault, is a misfit in society but who demonstrates an admirable will to survive. Signature Tennessee Williams characters, situations and even the title (which was used as The Fugitive Kind for the 1960 film based on Orpheus Descending) have their genesis here. At age twenty-six, Williams was still learning his craft and this, his second full-length play, shows his debt to sources as diverse as thirties gangster films (The Petrified Forest, Winterset) and Gorky’s The Lower Depths. Fugitive Kind, with its star-crossed lovers and big city slum setting, takes place in a flophouse on the St. Louis waterfront in the shadow of Eads Bridge, where Williams spent Saturdays away from his shoe factory job and met his characters: jobless wayfarers on the dole, young writers and artists of the WPA, even gangsters and G-men. Fugitive Kind was also Williams’s second play to be produced by The Mummers, a St. Louis theatre group devoted to drama of social protest. Called “vital and absorbing” by a contemporary review in the St. Louis Star-Times, this play reveals the young playwright’s own struggle between his radical-socialist sympathies and his poetic inclinations, and signals his future reputation as our most compassionate lyric dramatist. Once again, noted Williams scholar Allean Hale, who has previously edited two other early Williams plays, Not About Nightingales and Stairs to the Roof, has prepared a text faithful to the original production and an introduction which illuminates both the historical and literary background of the play.